Throughout the Easter season our Epistle Lessons all come from the Book of Revelation. It’s all about Christ, and it’s almost all comforting — not terrifying. Those Epistle lessons will also be the basis of our sermons. Come, worship the Triune God in the power and truth of the resurrection. 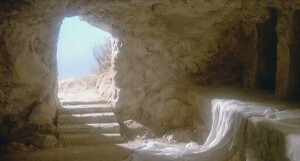 For the seven congregations in Asia that first received John’s letter, the resurrection gave them hope and confidence. In our fallen world, it still does.